You could waste time putting your files and folders to use the traditional way, or you could save time and do everything directly from your menu bar using Dropzone ($9.99, free trial download). Last year we chose the drag and drop application, Dropzone, as one of our ten top productivity applications 10 Productivity Apps For Your Mac-Based Home Office 10 Productivity Apps For Your Mac-Based Home Office If you work at a home-based office like I do, you no doubt spend a significant amount of time getting things done on your Mac. While I have already written about the advantages of using... Read More . Essentially, Dropzone performs various types of computer tasks that can be carried out from your menu bar. For example, you can select file on your desktop and drag onto a Dropzone action that can or copy the file to a designated folder in your Finder. 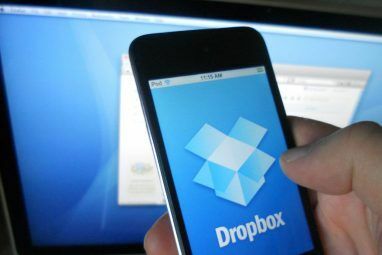 Other actions allow you to drop and send a file to your printer, upload an image to ImageShack or Imgur, or copy a file to your public Dropbox account. Aptonic recently released version 3 of Dropzone, which includes even more productivity-boosting features and actions to save you time and effort. Dropzone is easy to set up and straightforward in how it works. The software resides in your menubar, where you can drag a file to its icon and perform an action, like emailing it, by releasing. The drop-down grid features many actions and services, more of which can easily be download from Aptonic’s actions and services library. Dropzone 3 (above) is similar to its predecessor (shown below), in that it allows you to download and install actions that execute with a single click. For example, I use Dropzone to install an application encased in a .DMG file. The action will open the .DMG file, automatically install the application in the Applications folder, and then move the .DMG file to the trash, which is three or four clicks I don’t have to perform. I also use Dropzone to run AppleScript scripts, such as one that automatically names a batch of files on my desktop, and another action that moves screenshots to a designated folder in my Dropbox. In addition to the slightly-redesigned user interface that consists of four different categories, Dropzone 3 also includes what’s called a Drop Bar feature. This enables users to drag one or more files onto the Drop Bar icon where they can be parked for later retrieval. This process doesn’t move files, it just creates an alias of it. Dropzone 3 also makes it easier to install actions within the application. When you visit the installable actions page, and click on one of the green install buttons, the action is automatically installed. You will then get the choice of adding the action to a grid, or have it placed on the user action list where it can be accessed in the drop-down pane of Dropzone. You can also access the actions page via the preferences of Dropzone, or from the drop-down panel. Other useful actions created so far for Dropzone 3 include one for converting a URL to shorten Bit.ly URL, a Dropbox action that moves a file to your public Dropbox folder and automatically copies the Dropbox link for the file to your system clipboard, and an action for changing your desktop background to a dropped image. You can quickly add an application that you want to launch from Dropzone by clicking on the Add to Grid button in Dropzone, and selecting Open Application. The same goes for moving or copying selected files to another folder in your Finder. Dropzone 3 also includes pre-installed Imgur sharing action Photobucket & Imgur: 2 Underrated & Unloved iOS Image Sharing Apps Photobucket & Imgur: 2 Underrated & Unloved iOS Image Sharing Apps These days, when it comes to sharing images, everyone automatically turns to cloud services such as Dropbox or Google Drive. But other simpler free alternatives also exist, and some don't impose any storage limits. Read More , which posts an image file to Imgur and automatically creates a link to it. This is great for when you need to display an image in a discussion forum, or link to it in a social network post. To remove an action, simply right-click on it, and select the “remove” option. If you have coding skills, you can create your own actions using the Dropzone 3 API. Unfortunately, Dropzone 3 does not include the handy circles feature in Dropzone 2, which enabled users to access Dropzone actions hidden on a designated side of the desktop. I personally liked the feature, but Aptonic has explained its reasons for not including it. The developer says the feature may be re-added in a future update, but personally I have chosen to keep both versions of Dropzone so I can still access the actions from right side of my desktop. If you want to be productive on your Mac, Dropzone is definitely worth trying out. It’s similar to the application and workflow launcher, Alfred The 6 Best iPhone Apps to Supercharge Your MacBook or iMac The 6 Best iPhone Apps to Supercharge Your MacBook or iMac Supercharge your Mac using these iPhone and iPad apps for multiple displays, remote access, and much more. Read More , and the switcher-like application, SuperTab. If you’re sitting there thinking you could use an app like this, you’ll wonder how you lived without it after a few weeks. What do you think of the new Dropzone? What other tweaks have you got on your Mac to save you time and effort? Tell us, right now, in the comments below. 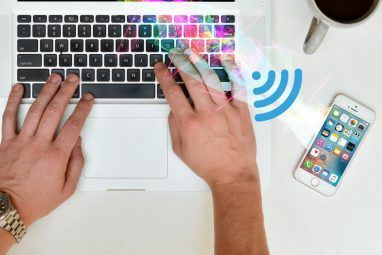 6 Mac Apps to Reduce Distractions and Help You FocusWhat Makes ListBook for Mac & iOS A Better Reminders App? Hmmm, sen, now sure what you mean? Can you explain in more detail? How do you Dropzone to sort the screenshots? Hi.. any alternative for windows users ? Dailycious, you might write to the developer of Dropzone to see if has some suggestions, or if plans on developing a Windows version. why bother working alone and uploading videos and storing them when you could just take advantage of the great video commerce plaform that modulates designed? Mmmm, Henry, I'm not sure I understand what you mean.